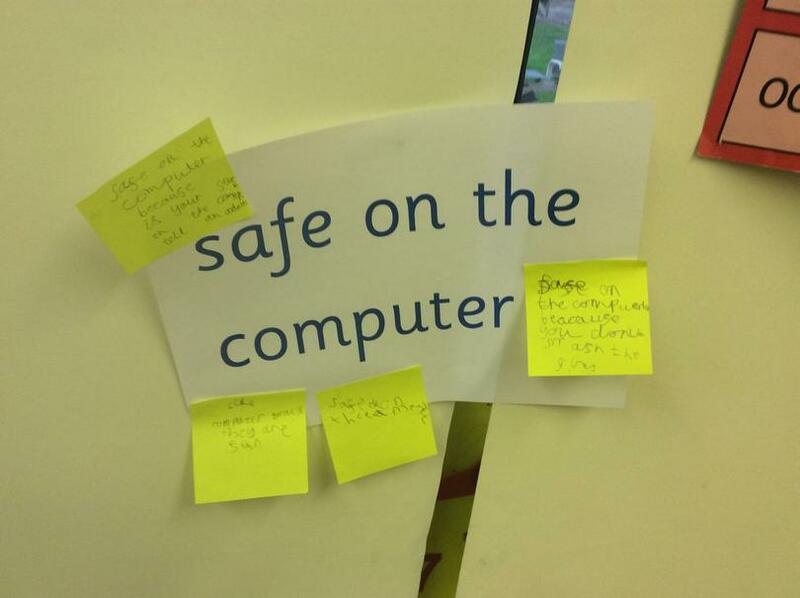 At Saltergate we understand our responsibilities of protecting all our children and educating the whole school about our use of technology in reference to online safety and any e-safety issues. conduct: personal online behavior that increases the likelihood of, or causes harm. As a school we have to make sure we use appropriate filters and monitoring systems in place to protect all the children in school. 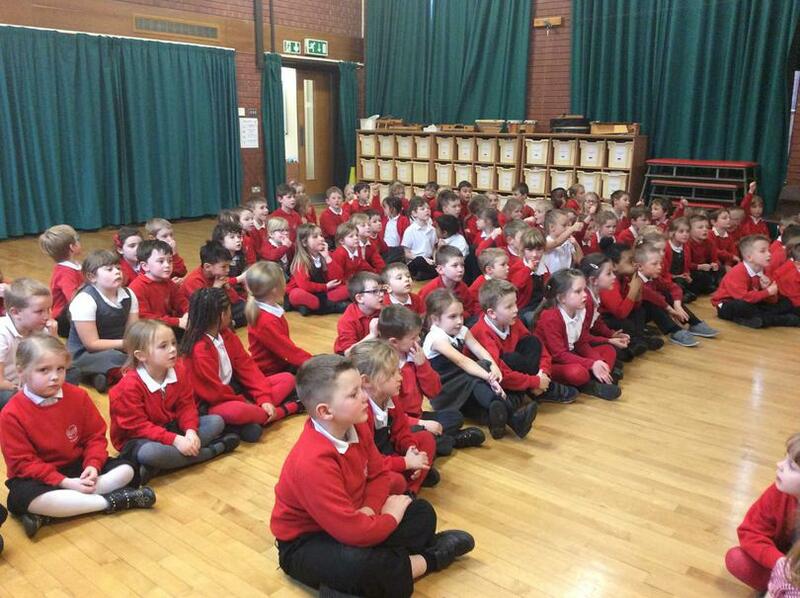 We have to consider the age range of all our pupils, the number of pupils and how often as a school we access the IT systems. We also make sure that all our members of staff regularly update their training on safeguarding as well as ensuring all the children are taught about online safety. 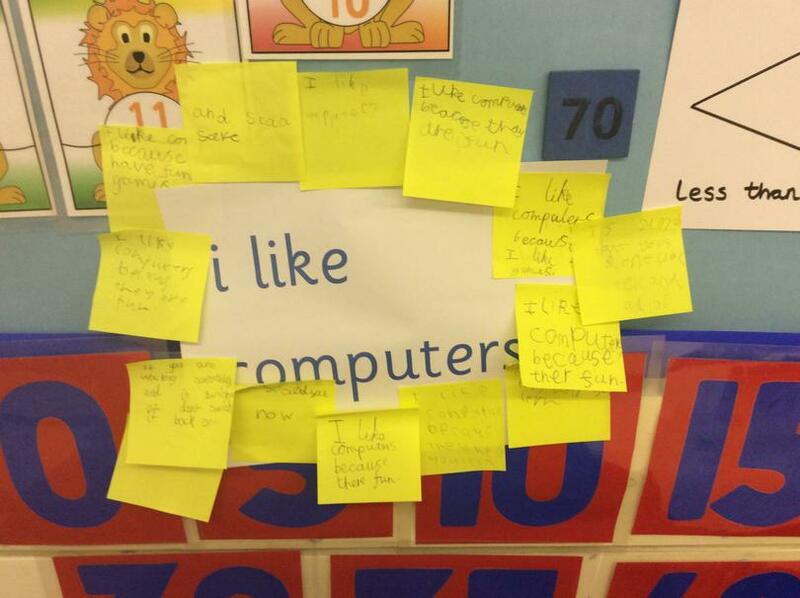 will use the internet and other digital technologies to support, extend and enhance their learning. will develop an understanding of the uses, importance and limitations of the internet and other digital technologies in the modern world including the need to avoid undesirable material. will develop a positive attitude to the internet to the internet and develop their ICT capability through independent and collaborative working. Take a closer look at our school E-Safety policy 2017 for more information. 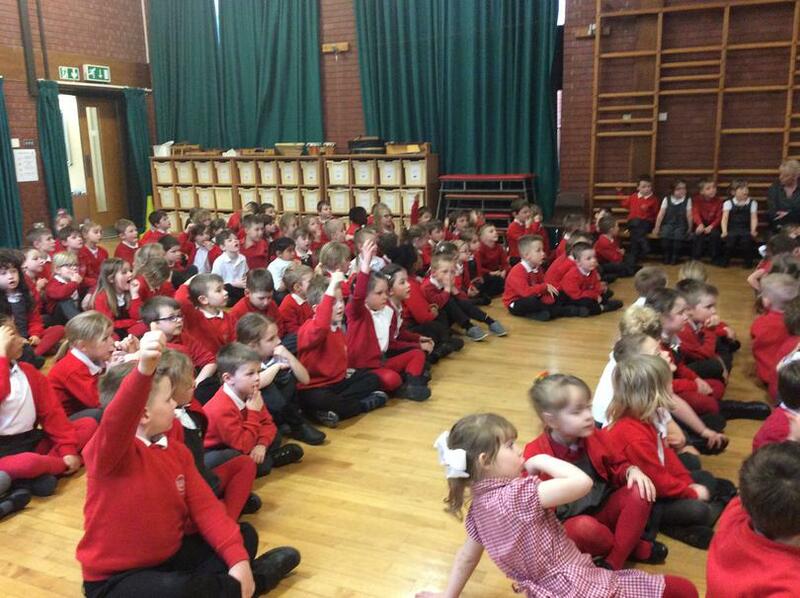 Across EYFS, Key Stage 1 and 2 we enjoyed a visit from the NSPCC and the ‘Stay Safe Speak out’ Campaign. 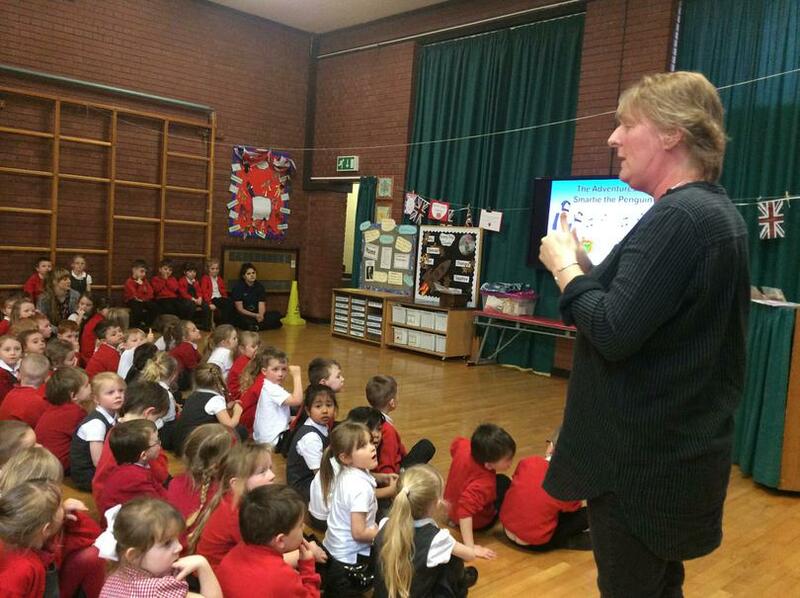 Speak out Stay safe is offered to schools to teach children about safeguarding in a lively, interactive and memorable way. 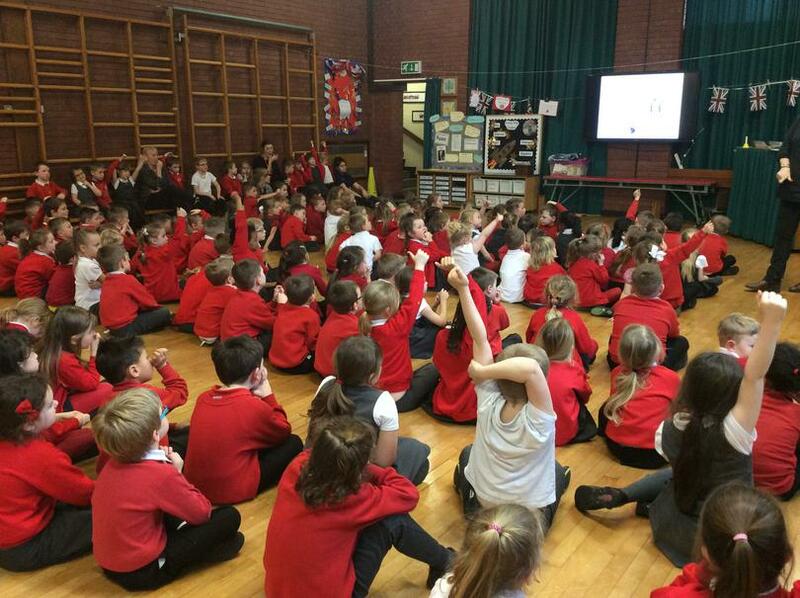 With the help of their mascot Buddy, the child-friendly, interactive assemblies and workshops help children understand abuse in all its forms and recognise the signs and know how to protect themselves. 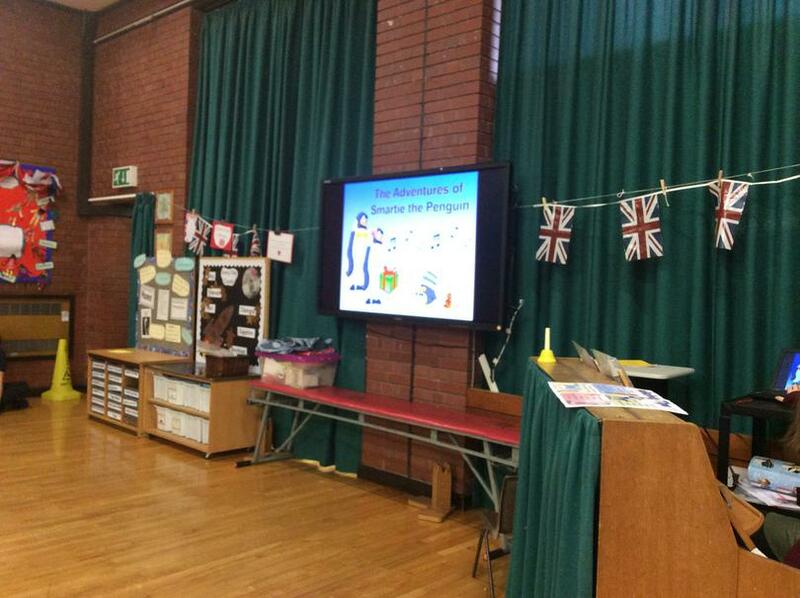 This also included how children can stay safe online too. 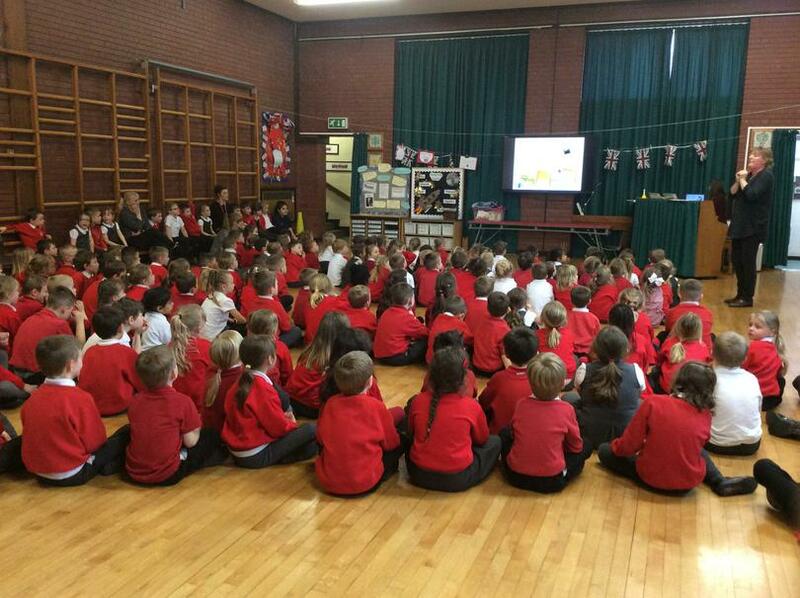 In Key Stage One we have been watching a series of short videos from 'Hectors World' on the 'ThinkUKnow' website that help the children to understand how important it is not to release any personal information online as well as learning how to use a computer safely. There are six short videos to watch with each one having an important message to take a way and learn from. Episode 2: Welcome to the Carnival. Episode 3: It's a serious game. Episode 4: The info gang. Episode 6: You're not alone. 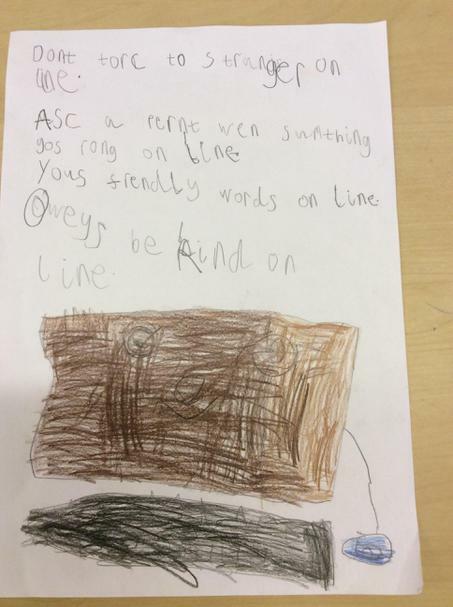 Click on the link below to see what Hector and his friends have been getting up to as well as checking out some of the fun e-safety activities too. Hector's World (ThinkUKnow) A series of videos and games children can get involved in to help them learn how to use a computer safely online. 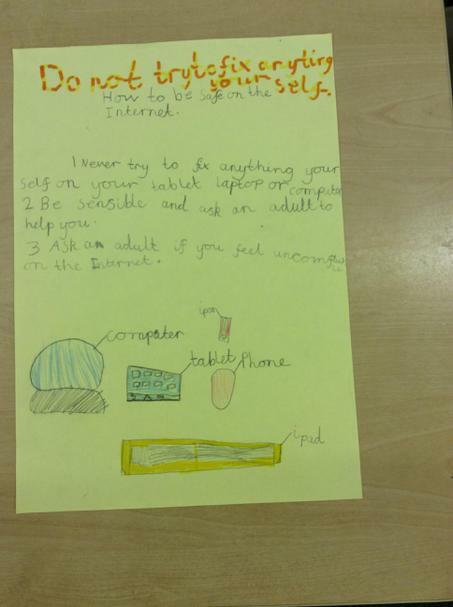 Following on from watching the short videos about Hector and his friends the year twos have been making posters on 'how to stay safe online' as well as producing pieces of writing too. 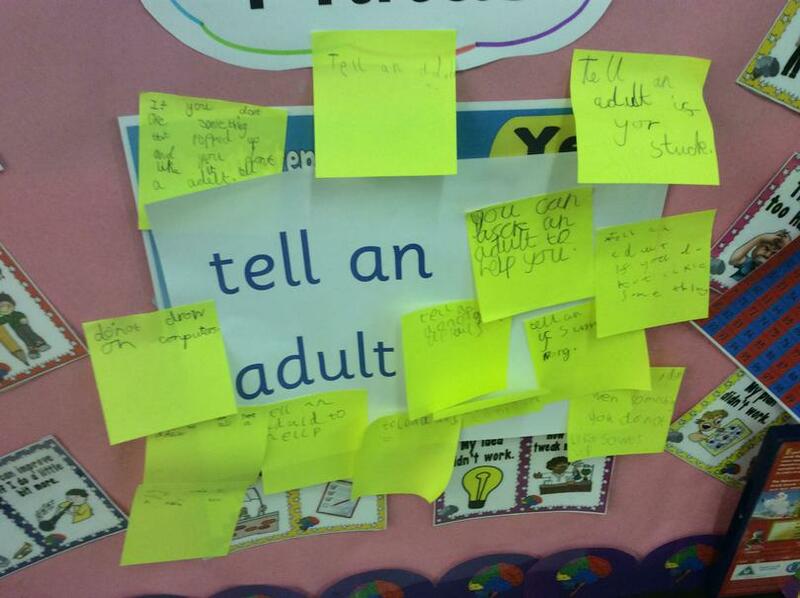 These pieces of work have meant the children have had to have lots of discussions with their teachers and friends on how they would keep themselves safe when exploring online at school and at home. 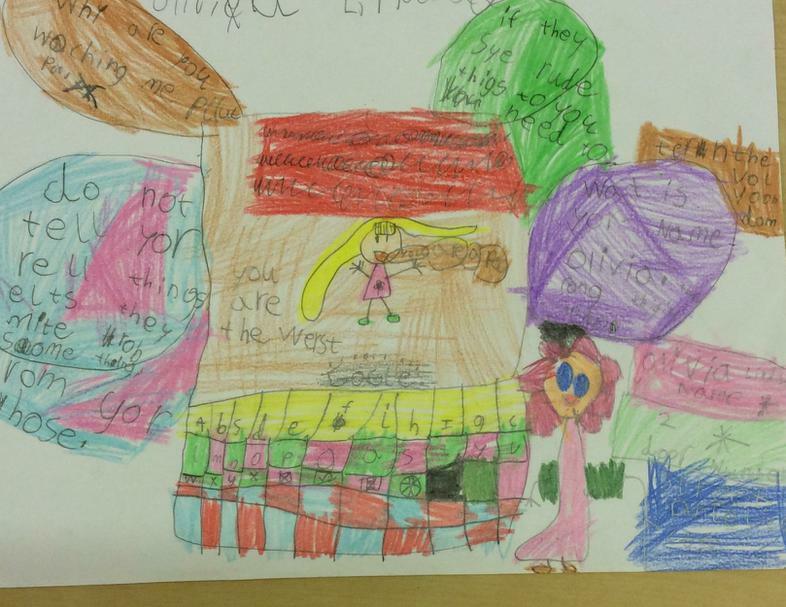 Some of the posters made by the Year two children. 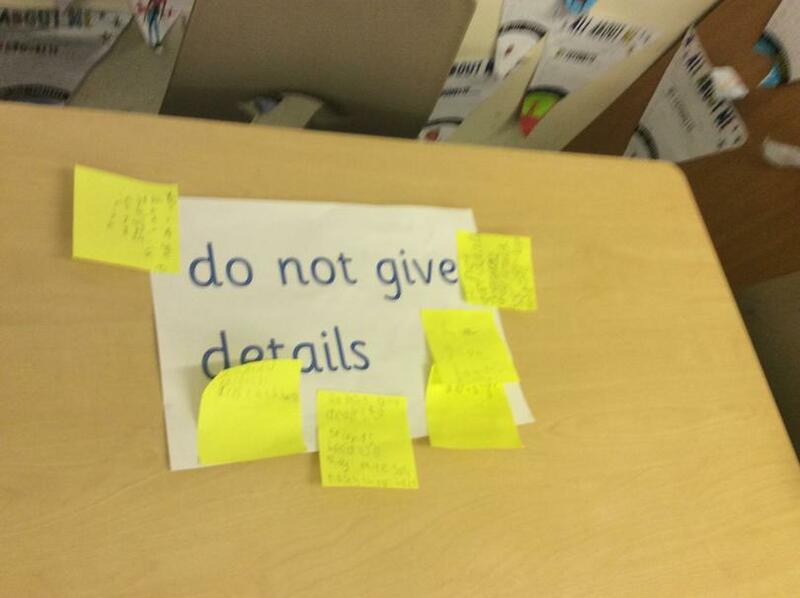 Some ideas about how to stay safe online. 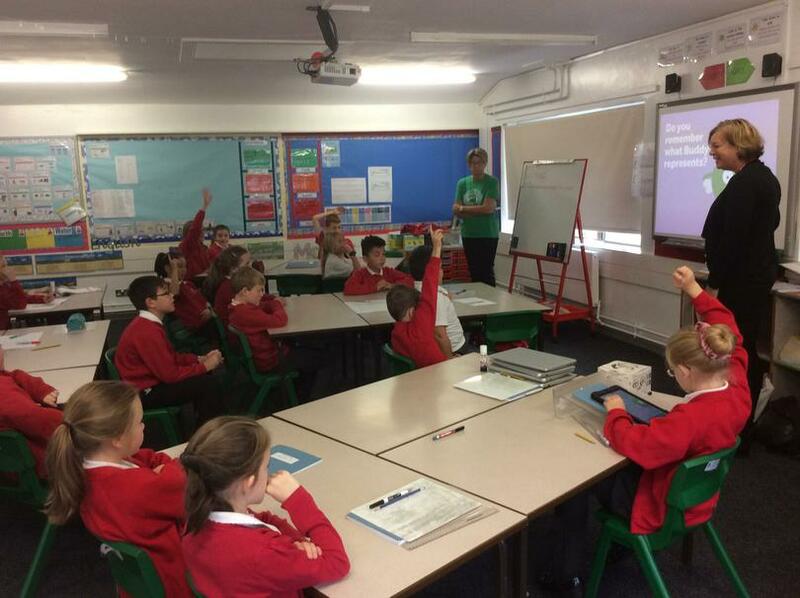 In Key Stage Two we also had a visit from the NSPCC and they spoke to all the children about staying safe in everyday life as well as on line. 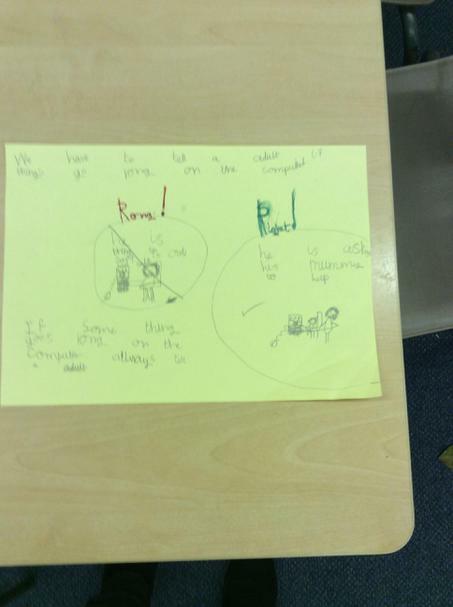 Following on from this visit all the children have been doing pieces of work on 'how to keep themselves safe'. If you would like to find more information out about how to keep your children safe online please click on to some of the links below. 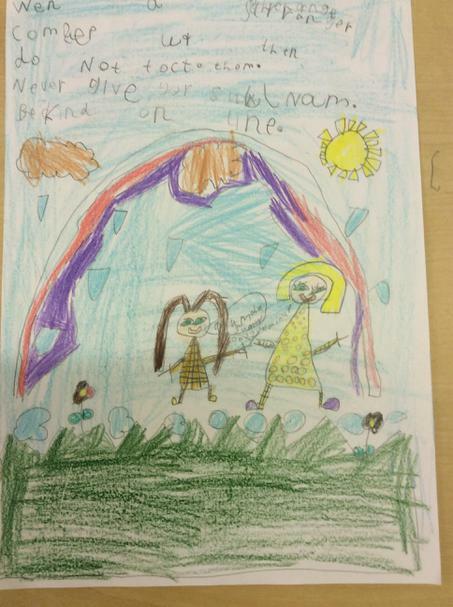 E-Safety for Parents A guide provided by the North Yorkshire Safeguarding Childrens Board to help keep your children safe online by providing practical advice on e-safety issues.